Just over ten years ago, Karl Fisch wrote a blog post that has stuck with me through the years. In it, he asked if it was OK to be a technologically illiterate teacher. Even though we’ve learned greatly in the last decade about the merits of using technology to replace teachers, I think Karl’s arguments back then are even more relevant today. In this post, I’ll explain why. To begin, Reid Wilson created a graphic that has seen the rounds on Twitter and other networked learning channels. 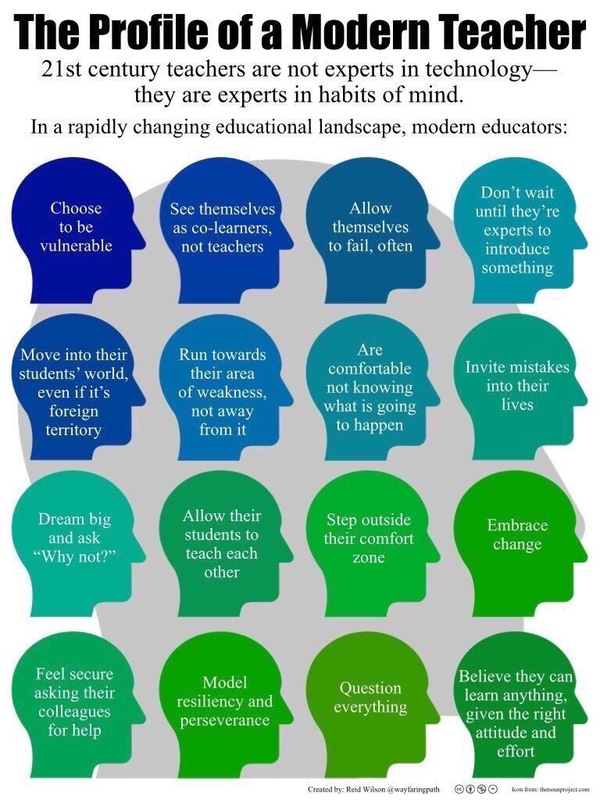 The graphic depicts the “profile of a modern teacher” and identifies sixteen ideal behaviors of teachers today. I’m sure you’ve seen the graphic; you probably even retweeted it. 21st century teachers are not experts in technology – they are experts in habits of mind. Although perhaps Wilson didn’t mean harm when declaring that 21st century teachers need no technological expertise, to infer that today’s (public school) teachers can be successful in preparing all students for adult society, digital citizenship, and the modern workplace – without also helping them to learn how to learn with technology – misses the mark, at best, and encourages educational malpractice in today’s most severe but all-too-common circumstances. Digital Heirs – Have significant access to technology, along with the adult interaction required to learn how to use it both responsibly and powerfully. These teens have impressive tech skills, along with expectations for a society steeped in technological efficiency. Digital Orphans – Have significant access to technology, but lack adult guidance along the way. Who among us hasn’t seen 3-year-olds, 12-year-olds, and 17-year-olds with free and unsupervised reign on as much technology as they could ever want? Sexting and online bullying without (immediate) consequence are just the beginning. Digital Exiles – Have been denied access by adults to technology and digital learning networks for a myriad of good – and not-so-good – reasons. Sometimes fear lies at the heart of these restraints, and other times its cautious prudence. Regardless of the impetus for children to live throughout childhood as digital orphans or digital exiles, the fact is that because of their lack of in-depth exposure to technology as a powerful tool for learning, they will reach young adulthood less prepared than their digital heir peers to thrive in an online and technology-dependent society. Honestly, there are only so many unplugged jobs out there. Now consider what happens when, say, an elementary teacher in a public school classroom chooses to not use technology with her students; because she’s scared, or believes that “kids get enough screen time at home,” or has a principal that never checks his email so why should she. For that (likely relatively high) percentage of digital exiles and orphans in her class, this means an entire year of digital learning lost and/or an entire year of unsupervised misbehavior. And no quantity of “habits of mind” expertise can really make this OK. Can it? Will modeling for these kids perseverance, vulnerability, and the value of questioning everything help them enough to fix bad technology habits already acquired, or to learn to think critically about what a balanced and collaborative life really feels like? 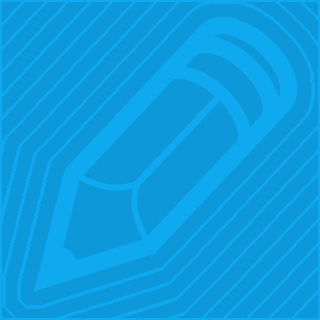 To equitably provide today’s digital heirs, exiles, and orphans the foundation and learning they need requires a deep skill-set that not only includes expertise in habits of mind, but also in the knowledge, skills, and dispositions essential to enabling effective technology-facilitated instruction. More than ever before, that percentage of digital orphans and digital exiles who sit in your classroom today needs caring adults who can model for them the new learning partnerships and deep learning opportunities that exist only through digital technology’s skillful and balanced use. Last July I made a personally difficult, professional decision and chose to resign from my position as Canyons School District’s Director of Education Technology. After nearly twenty years working in the communities of others, I felt it was important for me to begin working with the schools that my own children attend, to try to make a positive difference, and to better understand why they do the things they do. After eight years with Canyons, the time felt right for a change; not only for my family and my own personal growth, but for the good of the department, school, and district I had helped to create. I honestly felt like a shift would be healthy. All told, I greatly underestimated how much I would miss the many friends and highly skilled educators in Canyons – and sincerely hope our relationships continue to grow. As I watch their successes, now from these southern sidelines, I’m pleased to still call them friends and grateful for the growth they continue to enjoy. Nevertheless, since July my professional life has been a whirlwind. I have loved every minute of meeting new and extremely capable people, and learning the policies, procedures, and culture of the Alpine School District! Alpine is a very large district, serving nearly 80,000 students; and is entering a very interesting period. Along with tensions about its size and its/our struggle to manage the changes that come with fluctuating enrollments, Alpine is steeped with such beautiful traditions and a very rich history. Lead a district-wide Principals Academy for both district personnel and elementary school leadership. 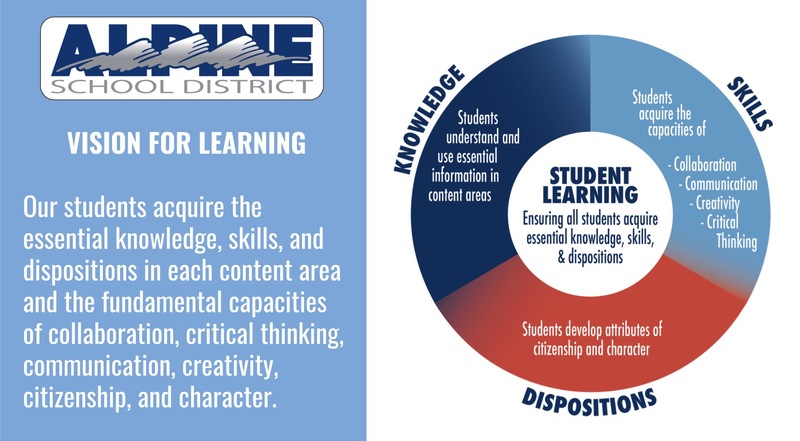 This yearlong academy centers on Alpine’s new Vision for Learning and is built upon the big ideas of PLCs, along with many of the principles described by Fullan and Langworthy in A Rich Seam. Begin the district-wide implementation of instructional coaching, with our primary efforts focusing on Junior High Science (3D Science pedagogy), and Technology Coaching and support in a concentration of elementary schools. Substantiate plans for increased and improved technology integration and support. This will likely materialize in the system-wide adoption of both a learning management and assessment system. I’m humbled by the opportunities I’ve been given to work with such strong district and school leadership so far in Alpine, and I hope for and look forward to a productive time working together in the years to come! I had the wonderful opportunity today to participate in two conference sessions that were led by George Couros. George is a very dynamic speaker with an exciting message and energy that is highly contagious. I had seen his first session before, “The Innovator’s Mindset,” and was very impressed with how polished the presentation has become. During his second session, “Things Students Should Have Before They Leave High School,” George quickly dug in with one of the participants who questioned why he would suggest that every teen should be participating in social media today. It was if he had planted her in the audience, because her question – the first one asked in the session – led perfectly into what he had planned to discuss. After a series of questions and responses, Ceri Payne joined George onstage, and participated kindly as he proceeded to create a Twitter account for her. If you don’t take care of your own online presence, someone else will do it for you. Educators today can’t help students to appropriately navigate the online world if they’re unable to navigate it themselves. As educators, we need to do a better job of making the positives so loud on social media, that the negatives are almost impossible to hear. Throughout George’s second presentation, I found myself a bit conflicted with his methods and message. While it’s true that we now live in a world that allows invites and encourages others to curate the online presence of others, there still remain a number of very good reasons why people might want to avoid such exposure. Take George’s own brother Alec, for example, and our good friend Dean. Pioneers in the field and well-respected ed-tech leaders world-wide, Alec Couros and Dean Shareski have been strong voices for openness and transparency online. Over the course of the last decade+, they’ve openly shared thousands of tweets, blog posts, and photos online with others. As an unfortunate and unintended consequence of this openness, they’ve also become victims of some of the worst catfishing schemes I know. Alec has written extensively about his recurring experiences, as has Dean. 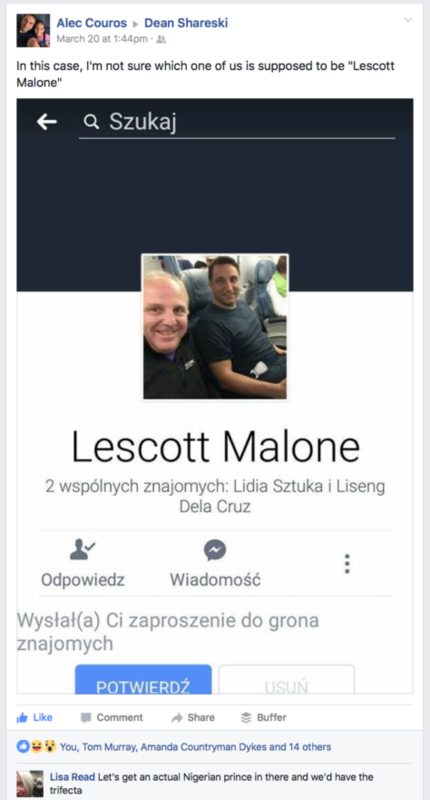 Both men, because of the openness they’ve embraced, suffer regularly as scammers use the photos/content they’ve shared to impersonate or otherwise attempt to mislead others. So, knowing that this has taken place – and knowing that educators need to better understand the terrain – I was conflicted as I watched George post the photo of Ceri online, share it with his 160K followers, and witness the audience squirm through her apparent discomfort with the turn of events. Was it fair of George to share Ceri’s photo like that? Is it fair that she now has no control with what others do with her image and identity? Are we justified in using caution when leading children through the global waters of social networking? This is the world in which we now live. Regardless of how you may answer any of the above questions, one thing is certain: If you don’t take care of your own online presence, someone else will do it for you. And sometimes that “someone” may just be the day’s keynote speaker. Nudging iPads, netbooks, and even traditional laptops aside, inexpensive Chromebooks clearly became the student device of choice – as school budgets stretched, web interfaces improved, and GAFE-powered management and convenience continued to impress. The LMS continued to shape the landscape of instruction, pigeon-holing technology-proficient teachers into the constraints of the system, while also pushing reluctant teachers to collaborate more widely with desperate parents, ever anxious to help. Online standardized testing drove the increased purchase of classroom technology, finally/gratefully/sadly providing the “compelling why” for polarized legislatures to prioritize public ed-tech spending. While increased device access facilitated fertile opportunities to stretch Nearpod’s pedagogical power, teachers overwhelmingly preferred Kahoot! for regular, informal, and formative assessment of student dexterity. To the chagrin of IT directors everywhere, Apple’s middle finger emoticon and upside-down-smiley contributed heavily to 2015’s dubbing as The Year of the Emoji. 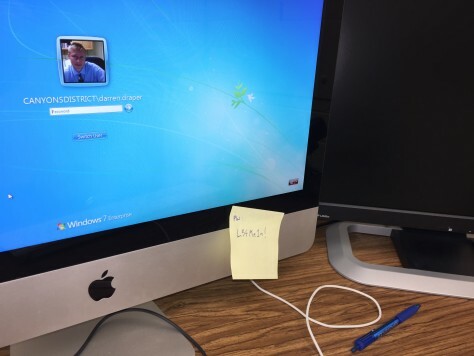 Not long ago, a common scene in many classrooms included a teacher’s computer with an important password – for entry into the computer, teacher gradebook, or even bank account – stickied neatly to its monitor. In 2015, however, gone are the days that teachers and students may safely remain so relaxed about data security and privacy. There are several reasons for this change. First, online fraud continues to skyrocket. Last year, for example, annual fraud costs to retailers reached $32 billion, with mobile commerce fraud growing at an alarming rate. Second, federal and local government administrators have heightened their sensitivity toward data security, in light of recent high-profile security breaches impacting millions of Americans. These and similar massive data breaches have become commonplace. Third, school patrons and their politically-minded friends continue to grow increasingly concerned about the security and privacy of their data, as evidenced by staggering increases in data protection-related legislation across North America and throughout the world. Simply put, data security is no longer a casual matter. So, what are teachers to do? The academic, behavior, attendance, demographic, health, fee, and other data related to students must remain secure; and the demands of the profession require an unencumbered workflow. 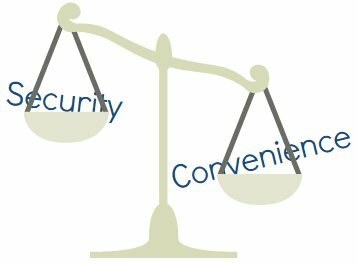 Therefore, when considering tightened security through shifts in habit and procedure, the impact on convenience should also be reviewed. Are proposed changes, even in the name of security, really worth the hassle? To be clear, it’s typically through the “tracking” that Audrey references that those who would do harm are able inflict the innocent, using data the innocent have failed to protect. Therefore, as teachers – models for a better society – we’re simply not immune to the effects and actions of those with malicious intent. Nevertheless, because our students and their parents live in a hyper-connected digital society, and have come to expect the convenience that technology affords, relinquishing computers is not an option for schools. Instead, we must learn to be savvy by staying one step ahead of the bad guys; just like we’re able to do with our students, each and every day. We must learn to protect ourselves. We must learn responsible use. To that end, the first and most important step toward responsible technology use is to understand the basics of data security – required curriculum for all teachers. As teachers, if we’re to model responsible behavior in our stewardship of the data with which we’ve been entrusted, then the following next practices constitute security conventions that must become ingrained within connected classrooms and contemporary school cultures everywhere. 1. Install software updates on a frequent and regular basis. Most major software companies work diligently to keep your data safe and secure by releasing updates to the code they’ve produced. These software patches address known vulnerabilities, but can only work when installed by you or your IT support team. 2. Routinely implement both strong and unique passwords. A strong password – or passphrase – contains a complex (preferably irregular) combination of uppercase and lowercase letters, numbers, and other symbols; the more characters, the better. The How Secure Is My Password website can help. Alternatively, unique passwords vary from website to website. Using passwords that are both strong and unique is critical. Invariably, even the strongest passwords become weak when used everywhere, for everything. 3. Use a password manager on every device. Password management software facilitates the use of strong and unique passwords, for expert and novice users alike. Products like 1Password, Dashlane, and LastPass make creating unique and strong passwords a snap, and effortlessly sync your login credentials across Windows, Macintosh, and mobile devices. 4. Learn to spot phishing like your bank account depends upon it. Because it probably does. Phishing is the activity of defrauding an online account holder of financial or other confidential information by posing as a legitimate company. Phishing attempts now occur using email, social networking, telephone and other communications, but tell-tale signs often exist. Learn to spot these signs well, and approach unsolicited communication with caution. If it appears too good to be true, it probably is. 5. Make two-factor authentication a habit. If you’re really serious about security, then it’s probably time. Two-factor authentication, or 2FA as it’s commonly abbreviated, adds an extra step to your basic login procedure. Increasing in popularity and now built into a wide range of online systems, this extra step combines something you know with something you have to reliably verify your identity. Because passwords can be stolen, cracked, leaked, guessed, bought, phished, sniffed – or maybe even read from the sticky on your desk – 2FA will increase your safety immensely. Whereas flipped was the keyword of choice during last year’s ISTE conference, participants this year demanded that maker, making, or make – ahem – make it into session titles in order to best capture their attention. 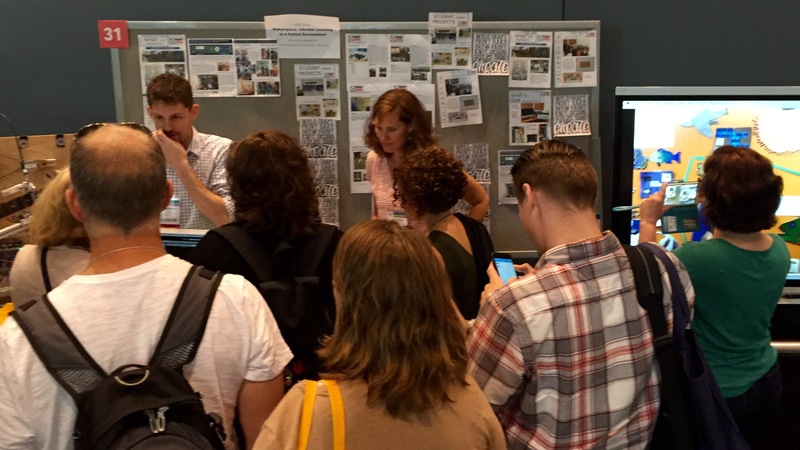 Here are photos I snapped of a few of the favorite “maker”-related poster sessions I perused. 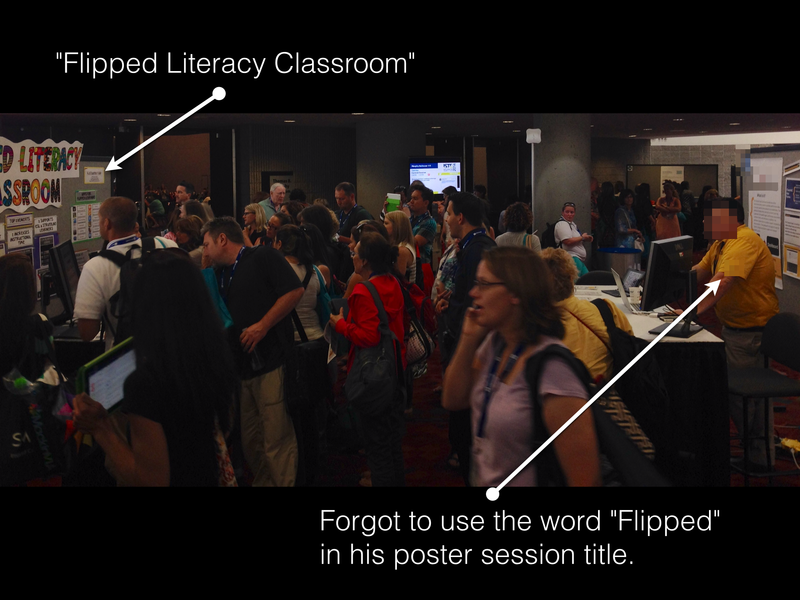 I love the poster and playground session formats, by the way, because of how engaged the audience gets to be! Lectures often mean that the audience gets preached AT. 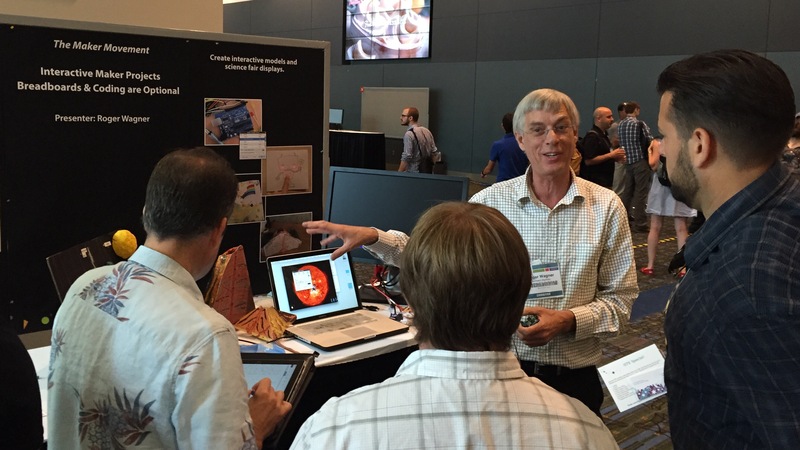 Why would anyone want to be preached AT, when speaking WITH the presenter is accepted and encouraged during poster sessions? 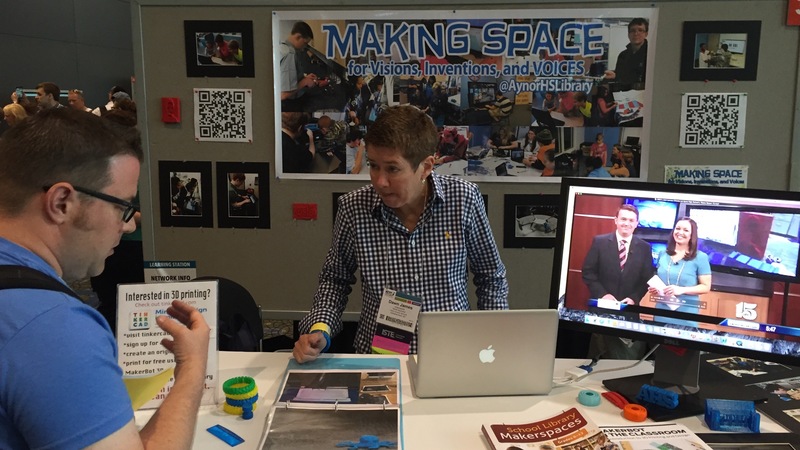 I guess all this emphasis on #MakerEd makes 2015 the “Year of Making” in ed-tech-centric schools across the globe. 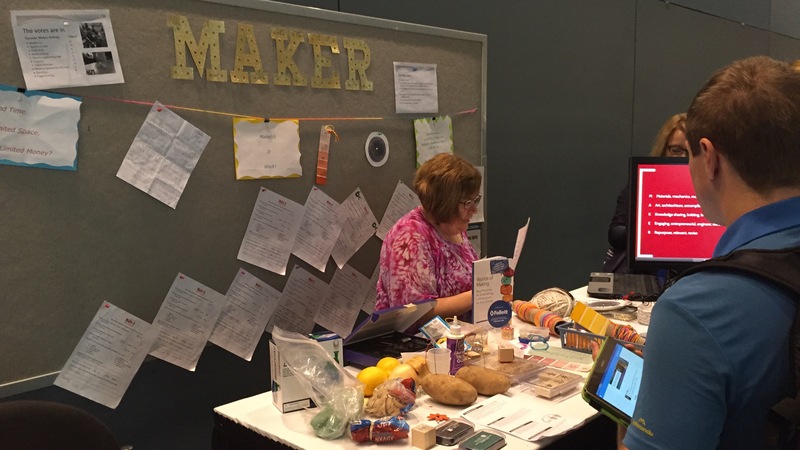 As a result, I predict that making makes a comeback once again at #ISTE2055, given that making and the DIY culture is not new, and that adhocism and other maker-related activities and philosophies were so prevalent in the 1970s. In the classic Seinfeld episode “The Comeback,” Elaine Benes feels stifled because her favorite video store undergoes change.1 During the episode, she grows to appreciate the perspective and services provided by Vincent, a video store employee with whom she shares the same taste in movies. When Elaine learns that Vincent has decided to “stop making picks,” she naturally struggles emotionally upon losing the connection once felt. I think Elaine’s relationship with Vincent and the video store is fascinating, and parallels the relationship many school patrons create with us and the schools in which we work, live, and grow. In a typical setting, we provide (educational) services in such a way that others come to know and love our style, and therefore, greatly value the community and the resulting relationships that consequently develop; often, perhaps, as much as or more than they love the services we provide. Relationships matter, and great schools are great because they cultivate strong relationships. Moreover, great schools are great because participation in them results in strong, long-lasting relationships, grounded in loyalty. Right?! Last night a tweet came across my feed that shook me to the core, while reminding me that traditional institutions have no guarantee of future success. It reminded me that while face to face relationships may be important, other commodities – like convenience – may be more valued, under certain circumstances. In addition to feeling nostalgic for the favorite video stores I often visited as a kid, when I processed the message sent in that simple tweet, I also wondered about the schools we love today. Will our schools still exist decades down the road? Does institutional loyalty even matter? Is a face-to-face, human connection always needed? Have you ever wished Netflix offered an in-person “Vincent,” with whom you might better relate, or trust? Me, neither. 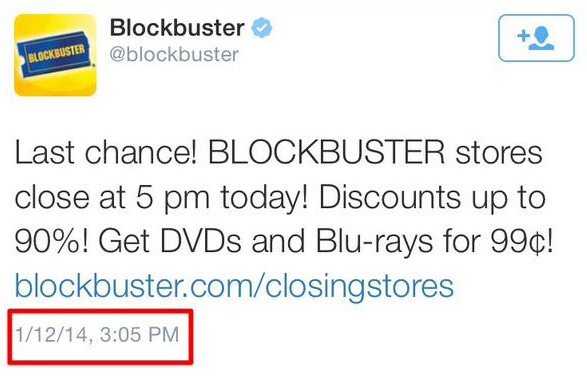 And yet “Vincent,” and the thousands of employees just like him, lie at the heart of what once made Blockbuster so overwhelmingly great. For the last nine months I’ve had the privilege of leading Canyons Virtual High School (CVHS): our District’s online learning program, created in response to Utah’s 2011 Senate Bill 65. 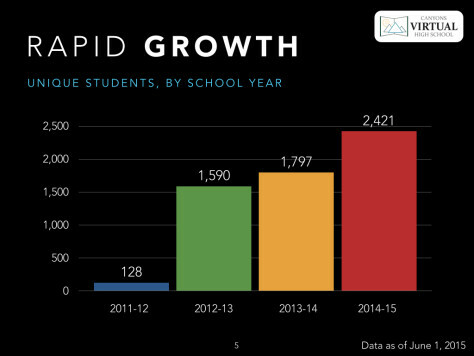 In four short years, CVHS has grown from having zero students in 2011 to serving over 2,400 unique students in 2014-15. This growth has come without gimmicks, without marketing beyond simple word-of-mouth, and without requiring students to participate. In other words, in four short years, our virtual school has grown from serving zero students, to now serving one in every five of our traditional high school students, for at least one of the courses they might take. Now, I don’t know what the future will bring for CVHS or the other schools in our District and across the country; but I do know that people today demand convenience! I’ve also learned that anytime/anywhere access to entertainment and to learning appears to be a key factor underlying success. In the case of both CVHS and Netflix, relationships matter; but convenience has mattered so much more. So, what’s your take? 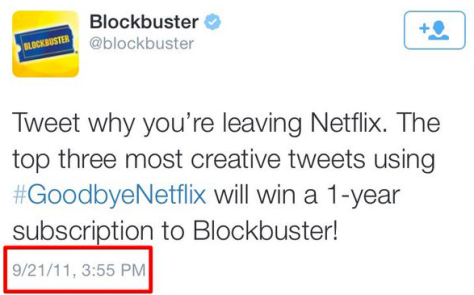 What will your school need to do to keep from getting Blockbustered? Has online learning changed the way your students succeed? I (still) feel bad for schools that celebrate “digital learning” only one day per year! I wrote this about Digital Learning Day last year, and still feel the same way today. Honestly, there’s no such thing as “digital learning.” Learning is just learning, whether the learner requires electricity or not. Digital tools can make learning easier, but they can also complicate the process at times, as well. Even so, learning with digital tools should be a constant presence, every day, in (nearly?) every classroom, in every school. Fostering and Leading a Culture of Digital Learning Within Our Schools. Helping Schools and Families Transition to High-speed Connectivity. 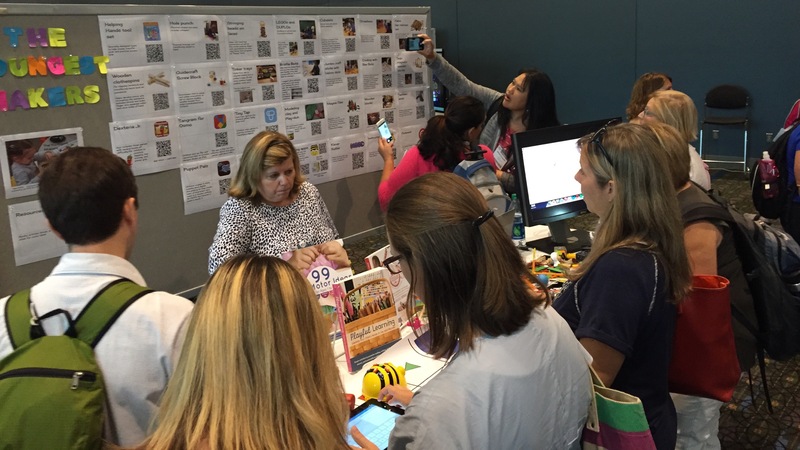 Empowering Educators through Professional Learning Opportunities. Accelerating Progress Toward Universal Access for All Students to Quality Devices. Providing Access to Quality Digital Content. Offering Digital Tools to Help Students And Families #ReachHigher. Mentoring Other Districts and Helping Them Transition to Digital Learning. …then they’re really committed to ensuring their schools are #presentready. While [computer-assisted instruction] will surely continue to play a role, I believe that real breakthroughs in teaching methods will come from classroom (as opposed to individualized) technologies that help teachers orchestrate diverse technological as well as non-technological resources. In theory, every lesson might contain some appropriate mix of all of these technology and non-technology resources, but an unaided teacher would have difficulty organizing all of this and adapting it in light of children’s responses on the fly. The future of instruction may be in exciting new technologies, but those technologies alone will not transform the classroom–we will always need an equal focus on new tools AND effective human methods paired with effective professional development.